Newcastle Racecourse can boast two excellent viewing Restaurants, both of which are located in the Premier Grandstand. Both Restaurants are used on busier days, whilst one or the other may be in use on quieter days. Both Restaurants make a fabulous base for the day and are suitable for family and friends alike. 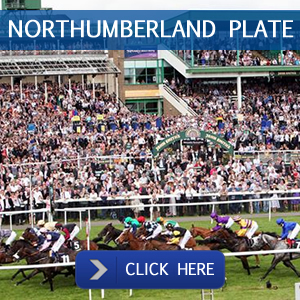 With a mixture of both jump and flat meetings throughout the season, Newcastle is suitable for both a seasoned racing veteran or eager first time spectator. The Gosforth Park Suite is located on the first floor of the Premier Grandstand and the Park View Suite on the second floor of the same stand. Both Restaurants have panoramic views of the course and are fully equipped with all that you will need to enjoy your day out at the races. 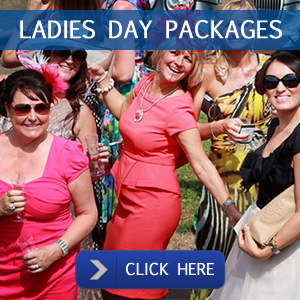 Whatever the size of your party we are sure to have the package to suit your needs at Newcastle Racecourse. Why not get in touch with us today and you can be assured of great service and advice.